BYOD – “Bring your own device” has recently become one of the most debated IT topics. BYOD means that employees use their private computers, smartphones, or tablets at their everyday workplaces and office desks, instead of getting seperate hardware, administrated by the company’s IT department. More and more people want to use the same technology at work that they have chosen to use for their private purposes. In particular for younger professionals it becomes less and less accepted not to have all their tools at hand. Why would they let themselved get restricted to outdated operation systems, cheep hardware, and crippled internet access? Although some companies set up rules for their employees to use the devices of their choice, for most businesses the concerns outweigh any potential advantages. What about cars? Some manufactorers provide rudimentary interfaces via bluetooth to connect some functionality of our smartphones with the car’s entertainment system. Most however seam to believe that people would still want to rely solely on the car’s onboard systems. Hardly any model has a proper place to put your device while driving. With our phone stored away in the usual bowl or compartment next to the driver’s seat, we couldn’t use it directly. We would have to access it via the car’s system that support only a tiny fraction of the phone’s functionality. To really use the smartphone, we still have to install cheep third party hands-free car kits. Using our own mobile devices while driving is not just owed to our lazyness. While our own gadgets are up-to-date, the car’s technology will be totally outdated already when it first hits the road due to the long development cycles that are unavoidable in car construction. Furthermore our apps have optimized user interfaces, continuously adjusted to users’ behavior. We might drive various cars, some we might not even own. How convenient would it be, could we use the same interface, no matter what model we would use? Cars should support the technology of our choice. They should become agnostic to the way, people would want to navigate, listen to music, or even control the climate. Instead of forcing us to rely on their propriatory interfaces, they should give us as much freedom as reasonably possible to control the car with our mobiles. There might be limits due to security concerns. Just last week, Jeep had to recall millions of their vehicles due to a vulnerability in the car’s computer system. System critical function could be accessed wirelessly. BYOD might be a good way to rethinking the architecture of the electronic systems. Accessing entertainment, air condition, and other passenger support systems is not as dangerous as controling acceleration, airbags, or the breaks. The different systems should be seperated physically. 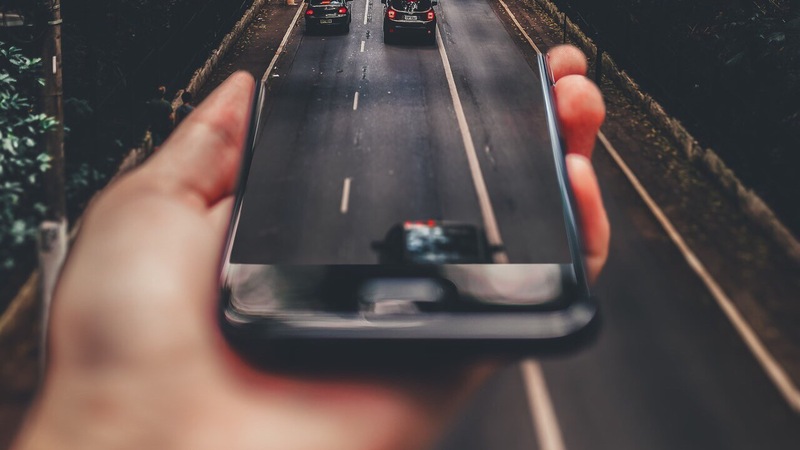 While the core of the car should be protected and not accessable without proper authorization, the peripherals should be as easy to connect as possible. I have seen people taping their phones atop the car’s dashboard after loosing patience with the clumsy user interface of the built-in navigation system. Does anyone use these dinosaurs of consumer electronics anymore, at all? It is high time to change the way we, car companies treat their drivers. BYOD is a good first step.